Our wide range of heat transfer equipments includes industrial radiators where the heating medium is either steam or thermic fluid. Our expert engineers and other technical professionals manufacture steam radiators and oil radiators at our well-equipped manufacturing unit in NARELA, New Delhi. 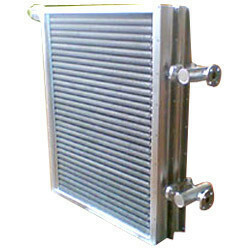 In steam or oil radiator, steam or oil is pushed inside the tube and air outside the tubes. 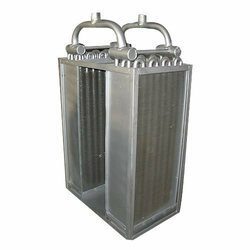 These types of radiators are used in tray dryers, various dryers, wood & leather industries, etc. Made in M.S., S.S., Tubes with G.I., C.R.C., Aluminum and Copper Fins. Looking for Industrial Steam Radiators ?